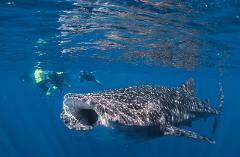 Ningaloo Whaleshark-n-Dive has the best whale shark tour in Exmouth! Our experienced experts will help you to learn all about these elusive creatures and guide you at all times. Join us on a tour creating memories to last a lifetime. 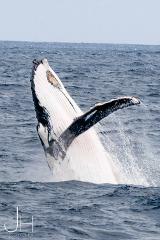 Join us for an amazing Humpback Whale watching cruise. 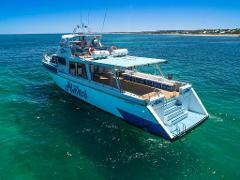 Come aboard our new refurbished stable, luxurious 65ft ‘Aliikai’ with the biggest deck in the Exmouth fleet to cruise around the calm waters of the Exmouth Gulf.